According to the World Health Organization (WHO) over 347 million people around the world are diagnosed with diabetes mellitus. As the incidence of this disease continues to rise the importance of health and fitness professionals to play an active role in the prevention and management of diabetes has never been greater. 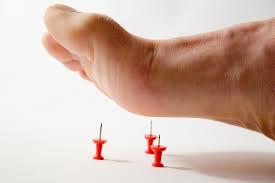 As a Podiatrist one area of diabetes which I encounter on a daily basis is diabetic peripheral neuropathy (DPN). Although DPN is often associated with those patients who have had diabetes for greater than 10 years, this is not always the case. More frequently we are seeing the loss of plantar foot sensation as the initial symptom in pre-diabetic patients. As a diabetic patient begins to lose the sensation to the plantar foot their is a direct impact on balance stability and fall risk. Studies have shown that diabetics with DPN have a 15x greater fall risk when compared to those without DPN. 15x! With fall risk being a major concern for all public health and insurance companies it is time to start re-thinking the way we approach the patient, client or even athlete with diabetes. Diabetes is a condition associated with poor glucose control and frequent hyperglycemic episodes. During periods of hyperglycemia the excess blood sugar is highly reactive with free proteins in our blood stream. These free proteins react with glucose through a process called glycation and results in the formation of advanced glycation end products (AGEs). It is these AGEs that are damaging to connective tissue and the nerves throughout the body. As a special type of free radical the AGEs cause adhesions in fascia, stiffening of blood vessels and a loss of elasticity in tendons – all resulting in impaired flexibility, a loss of micro-circulation and damage to the peripheral nerves. Classically presenting as a stocking glove pattern, diabetics with DPN with complain about tingling, burning, paresthesias in the tips of the toes and even all the way up to the tibial tuberosity. With symptoms more pronounced at night or during periods of elevated glucose, most diabetics see DPN as an accepted progression of their diabetes. However there is actually much that can be done to prevent, manage and even reverse the deleterious effects of DPN. As the diabetic begins to lose sensation in their feet most Podiatrist adopt the recommendation of “never take off your shoes”. Although this is a general good recommendation to protect the diabetic from stepping on something sharp that they may not feel, there is still a benefit to the controlled stimulation and strengthening of the foot. What’s important to note is that most DPN is sensory – and not motor – which means that although the diabetic may lose sensation in the bottom of the foot they are still able to engage the muscles of the foot! Here comes the perfect application of short foot in these clients to stimulate the proximal co-activation patterns of the hip and core – as well as the deep front fascial line! Because our nervous system is plastic what we challenge the body will begin to grow, strengthen and adapt. Through the controlled stimulation of the plantar nerves with vibration training, textures, balance etc. benefits can still be seen in the diabetic with DPN. While integrating barefoot training with your diabetic client I would also consider and highly recommend the following nerve protective supplements. 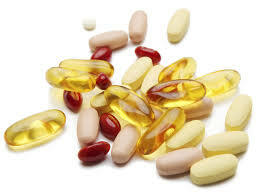 These supplements are responsible for blocking the interaction between free proteins and glucose forming AGEs – as well as in the stimulation of nerve growth factor. As you begin to integrate barefoot training with your diabetic client there may be some initial opposition as diabetics are so used to hearing “never take off your shoes” however if you do it in a safe, controlled, clean environment such as a gym studio floor and do a foot check before and after – your diabetic client will begin to build trust in this approach. Complete loss of plantar foot sensation is still not an contraindication to the barefoot training as balancing exercises and foot strengthening will transfer to better proximal stability. Teaching your diabetic client to correct their shifts in COG from their thoracolumbar fascia is a huge step in the reduction of falls. Stay tuned for our next article where we will explore fascia, flexibility and the diabetic client! We are fast approaching the first-ever Barefoot Training Summit coming to INDIA this March 2015! As we amp up for what’s going to be an amazing event – we wanted to take a few minutes to speak with some of our presenters! In this week’s Presenter Spotlight we sit down with Stop Chasing Pain Founder – Dr Perry Nickelston from the USA. Hi Doc! We are very excited to have you present at the Barefoot Training Summit in Delhi, India. What can attendees expect to learn from your sessions? Thank you very much. It’s an honor for me to be part of the event. What can [attendees] expect to learn? How simple cross body patterning movements can completely change the way you feel. We will be concentrating on the ‘Vital Few’ movements which will carry over to all the other movements. A lot of people lately seem to be talking about primal movement. How is your Primal Rehab Chains different from other programs? Primal means basic and fundamental. Some of the principles I teach are the same as other professionals, but let’s face it, nobody invented movement. It belongs to everyone. What I integrate into my program is a lot of information about the brain and how we learn. Once you know how the brain learns you can change the way you move! That is so true about the brain and understanding how we learn. Very powerful. So I can’t but help notice you are doing a lot more presenting and movement barefoot! How are you barefoot strong? Haha. That’s easy. I just learned from you! Lol – thanks Doc! It truly is an honor having you join us the Barefoot Training Summit. I know all attendees are going to love your passion for movement and teaching. They can surely expect many Dr Perry knowledge bombs! 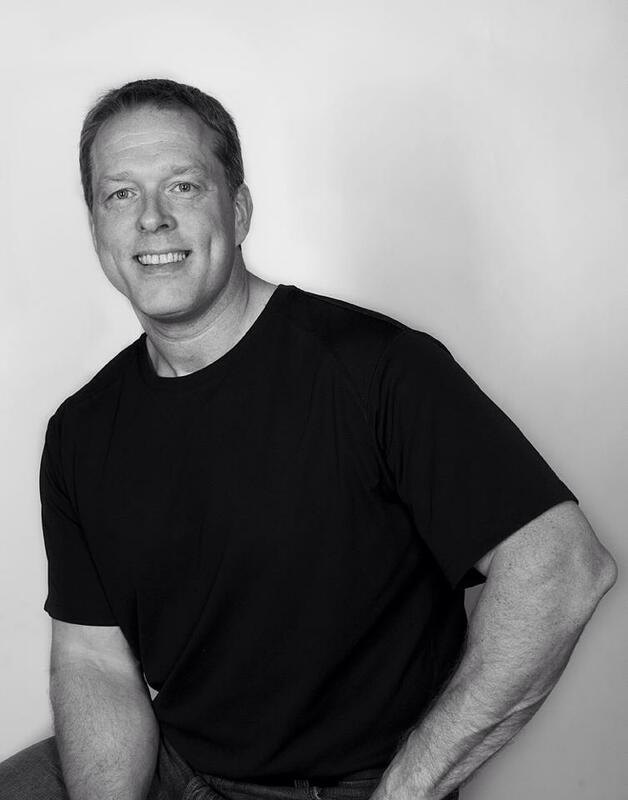 Want to check out Dr Perry’s work before joining him at the Barefoot Training Summit? See below! As EBFA prepares for our first ever Barefoot Training Summit coming to INDIA this March 2015, we wanted to take a few minutes to speak to our amazing presenters! 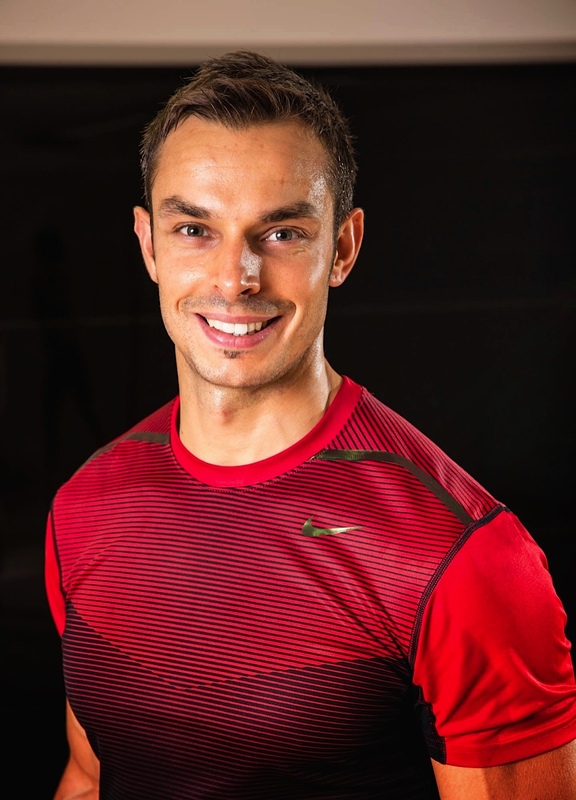 In this week’s Presenter Spotlight we sit down with Animal Flow® Master Instructor Richard Scrivener of London, U.K. Thank you for joining us Richard. Can you please tell us how you got started with Animal Flow®? I first started taking Capoeira classes a couple years back because I knew I needed to step out of my comfort zone and really work on my weaknesses. As a result I began to reflect on the training I was doing at the time which was largely a mix of weightlifting, kettlebell work and traditional strength training. I knew there must have been other complimentary disciplines out there which could magnify the results from my existing programme and so I started to trawl the internet! I stumbled across Mike Fitch and his body-weight discipline Animal Flow®. That was it, I was hooked! That’s great! I agree that body weight movements define an individual’s strength in a way that traditional weight lifting cannot. So what are your favorite aspects of Animal Flow® and the exercises of this method? Animal Flow® truly offers holistic physical development from improved mobility and fluidity to strength and power. Moreover Animal Flow® is fun and addictive! When working with my athletes and personal training clients there are many exercises and movements from the different components of Animal Flow® which I can pick and choose from and which enhance the results these guys achieve! Furthermore, anybody can get stuck in and enjoy an Animal Flow® workout. It really doesn’t take long to pick up the basics, but, not unlike many movement disciplines, there are many progressions and perfections to strive for which will keep you training hard for months and years to come! Love it! So we are very excited to be bringing Animal Flow® and you to the India Barefoot Training Summit in March. What can attendees expect from your sessions? I can’t wait to come to India and share what Animal Flow® has to offer. Nobody owns ‘movement’, but Animal Flow® provides a unique way of organizing it. I’m going to show attendees just how much fun they can have whilst tapping back into their potential to activate, stimulate and integrate their bodies. Not only will they walk away with some great, take-home practical ideas but they will also understand how and why Animal Flow® improves so many physical capabilities. Finally, because the theme of the Barefoot Training Summit is “barefoot beyond running” – can you tell readers how you are barefoot strong? I’m an ambassador/sponsored athlete and certified coach with Vivo Barefoot, and of course, an Animal Flow® Master Instructor. Considering that we are connected to this planet via our feet and our feet provide an immense amount of proprioceptive feedback to our brains, it’s well worth enhancing and optimizing this relationship. Well said! We look forward to seeing you in a few weeks at the upcoming India Barefoot Training Summit! If you are curious to learn more about Animal Flow® check out the below video and see this method in action!